Son Heung-Min helped his side this week as they took a step closer to the Champions League Semi Final. In recent months with Harry Kane's fresh injury worries the Korean as had to step up for his club. As seen with his current performances he's not shied away. This week at the new Tottenham Hotspur Stadium, Spurs faced what looked a near impossible task and that was to overcome Manchester City a team on fire at the moment. Then in front of a crowd of 60,044 Harry Kane the English great hope took an injury to rule him out for the rest of the season on 58 minutes. Son Heung-min did not let this bother him and he put in a Man of the Match performance that was topped off with a winning goal in the 78th minute. Spurs will now have to travel to Manchester next week to try and finish the job but they are in a great position. Is Son the best signing in years? 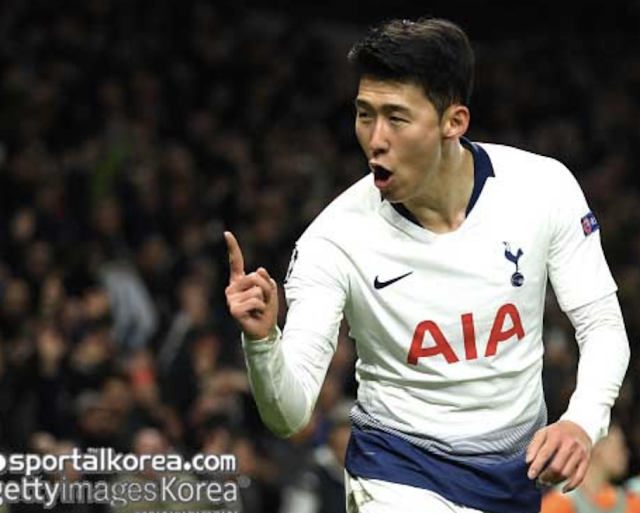 One media outlet this week suggested that the Koreans move to Tottenham was one of the best transfers in the clubs history. The write up did suggest that Son was the new man for Spurs which is a bit odd as he's been performing to a high level all season and this is not a new thing. It does mention however something that I think is correct that when the attacker is on form it is very hard to stop the team from London. Kane might have scored a fair few goals and got the headlines but Son's work on and off the ball is amazing. The stats also back this up as many will say he is the best all-around attack in the English league. Can he bring this form to his country? The more positive headlines the 26-year-old receives for his form with his club the more frustrated fans of South Korea become. This is due to the fact that despite never turning his back on his country his club form never translates to his national team form. It's been said many times that they don't know how to get the best from him at international level. I think for me he is asked to or wants to do too much to help the side. If I was Bento I would have him play as a centre forward and only have him drop deep to receive the ball but not to defend. This could result in the side being more open when defending but I think in return with Son in positive positions when attacking Korea who struggle for goals would benefit hugely. The Koreans have a few young fast and skilful playmakers and wingers who could assist with this too. This would also mean not having to see Hwang Ui-jo play upfront and miss chance after chance.